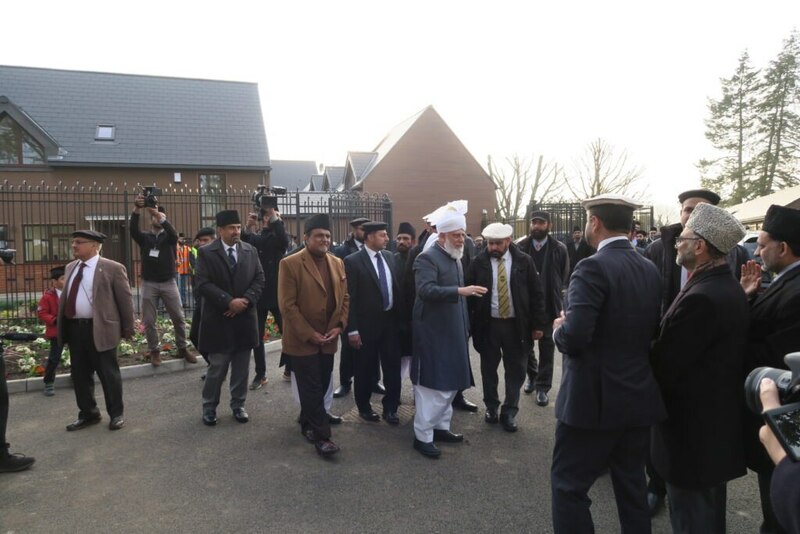 Hazrat Amirul Momineen, Khalifatul Masih Vaa moved earlier this afternoon from London to the new Jamaat Markaz (headquarters) in Tilford, Surrey, to the land that is fittingly named Islamabad. Huzooraa had indicated in his Friday Sermon delivered on 12 April that he would soon be moving from London to Islamabad. 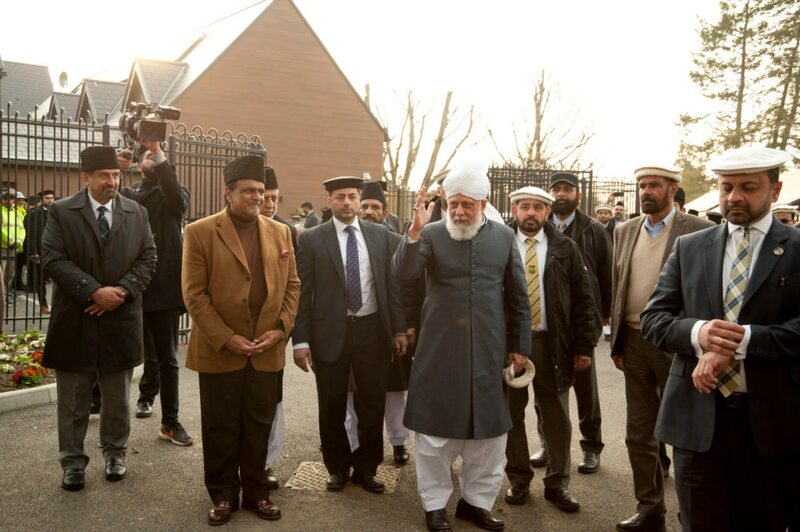 This historic moment came on Monday, 15 April 2019, immediately after the Asr prayer at Fazl Mosque, London, when Huzooraa departed the Fazl Mosque and took the A3 southbound, headed towards Islamabad. A large number of Londoners were present to see off their beloved Imamaa, whom they had become accustomed to seeing in the Fazl Mosque five times a day at every prayer for almost 16 years; including the tenure of Hazrat Khalifatul Masih IVrh, the Fazl Mosque served as the residence for Khilafat-e-Ahmadiyya for almost 35 years. The crowds of people gathered at the Fazl Mosque sang choral poems to see off their beloved Imamaa. Huzoor’saa entourage arrived at Islamabad, Surrey at approximately 6:55pm where a large number of residents of Islamabad, those belonging to neighbouring Jamaats and many more joyfully welcomed Huzooraa. (Our Lord, accept this from us, for Thou art surely the All-Hearing, the All-Knowing) and choral poems (taranas) that children sang in praise of Allah to add colour to the very historic moment in the history of Islam. This day was reminiscent of the great hijrats (migrations) that have taken place in the history of Islam. When progress and prosperity is manifested through the expansion of Allah’s Jamaat and migration is destined to happen, then Allah provides facilities to contain and uphold the divine bounties bestowed by Allah on His Jamaat. 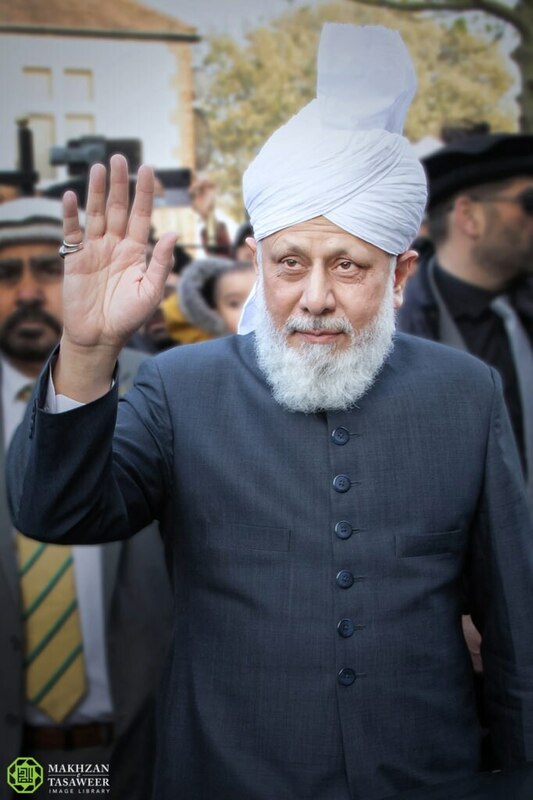 We are fortunate to be living in the time of Hazrat Khalifatul Masih Vaa, through whom, we have witnessed another milestone, among many, in the growth of Islam Ahmadiyyat. We know from history that every hijrat has opened up avenues for the propagation of Islam and we know with full conviction that his hijrat will lead the Jamaat towards success that is otherwise unattainable by mere human power – Insha-Allah. Central offices – including Huzoor’saa private secretariat, Wakalat-e-Tabshir, Wakalat-e-Mal, Wakalat-e-Tamil-o-Tanfidh (India, Nepal and Bhutan) – have also moved to Islamabad as part of the Markaz’s shift. As Hazrat Khalifatul Masihaa mentioned in his latest Friday Sermon, the residential colony is being inhabited by Waqifeen-e-Zindagi, most of whom will be working in the local offices. In a period of just around two years, we have seen a great transformation of what was once a make-shift residential facility into state-of-the-art offices and residential complex. We pray to Allah that He makes this new Markaz a beacon of light for all mankind and that this new headquarters facilitates the Jamaat further in propagating the message of Muhammad Rasulullahsa to all corners of the earth. From Mecca to Medina, Qadian to Rabwah, Rabwah to London and now London to Islamabad #blessingsofmigration May Allah bless this move for Beloved Huzoor (atba), his family and our entire Jamaat InshaAllah, Ameen Suma Ameen! May Allah strengthen the hands of the khalifa and make him a good guide for us. Barakallahu lana, nahnu wa antum. Aameen..
Mubarak soo mubarak, may Allah bless the Jamaat, aameen..
May ALLAH in HIS infinite mercy make Islamabad an abode of Peace and tranquillity for His Holiness and the Ahmadiyya Jama’at at large. There is no doubt that this migration will be very beneficial to the Jamaat. May Allah guide Huzur to lead the jamaat to more progress. May this migration be more useful in the way of spreading the message of Islam, May Allah bless our beloved huzoor(aa) and our jamaat, Aamin. May Allah swt bless this Hijrat and May He bless and guide our beloved Hudhur aa. May all Ahmadis around the globe be strong in faith and help propagate the teachings of our beloved prophet Muhammad swt to the lost souls. May Allah swt forgive all our shortcomings. Amen. 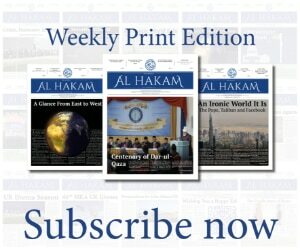 Islam Ahmadiyya Zindabad!!! Islam shall surely win insha Allah. Alhamdulillah thumma Alhamdulillah. May Allah continually bless and protect Hudur Anwar (aba), his beloved family and all servants of Khilaafat in the new abode. Aameen. By the Grace of Almighty Allāh another fulfillment of the Prophecy of Hazrat khalifatul Masih Rabeh (ra) is by Syedna Hazrat Khalīfatul Masīh V (aa) with this Hijrat. See the blessings of Allāh. Subhan Allāh! Alhamdulillah, May Allah continually bless and protect Huzur (aba), his beloved family and all servants of Khilafat in the new abode. Aameen. May Allah the Almighty bless this migration.